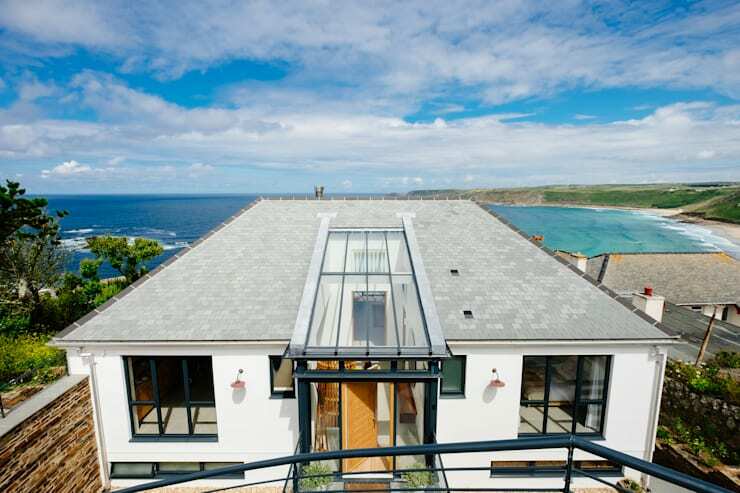 This couple built their dream home - can you guess where it is? This couple built their dream home—can you guess where it is? 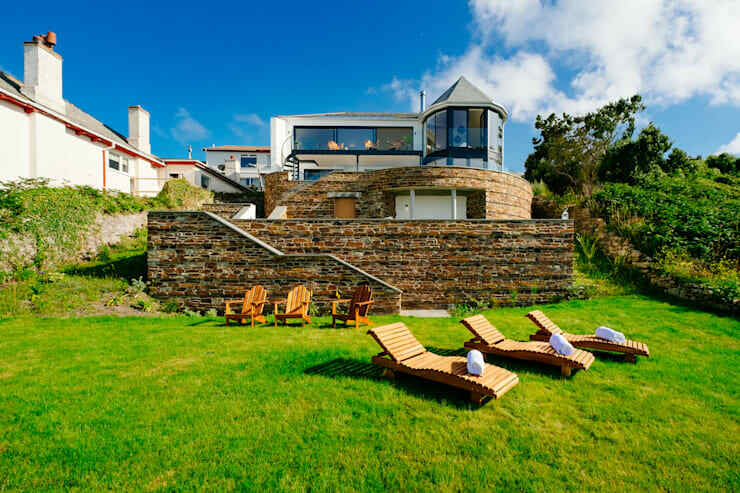 While the home that we are going to explore today is based in Cornwall, it is the perfect house for South Africans to explore because it is on the beach. 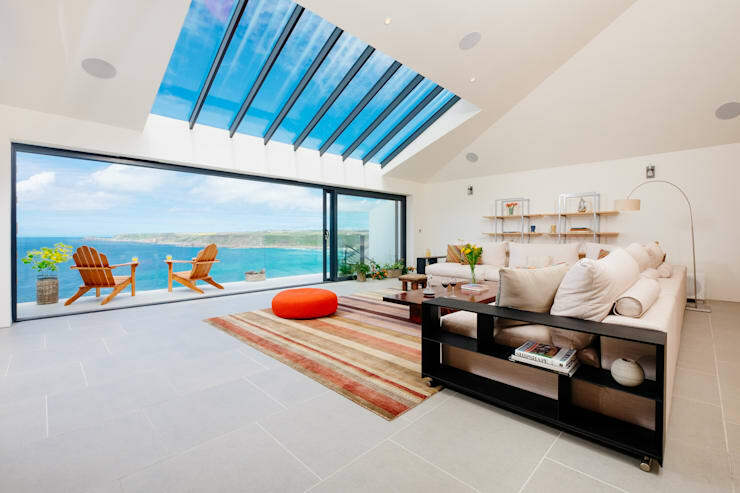 In fact as we admire this home from the outside in, we will see how design professionals Perfect Stays have created the ultimate modern beach home that capitalises on a wonderful connection between the interior and exterior spaces. For many of us, our homes are near beautiful South African landscapes and views. 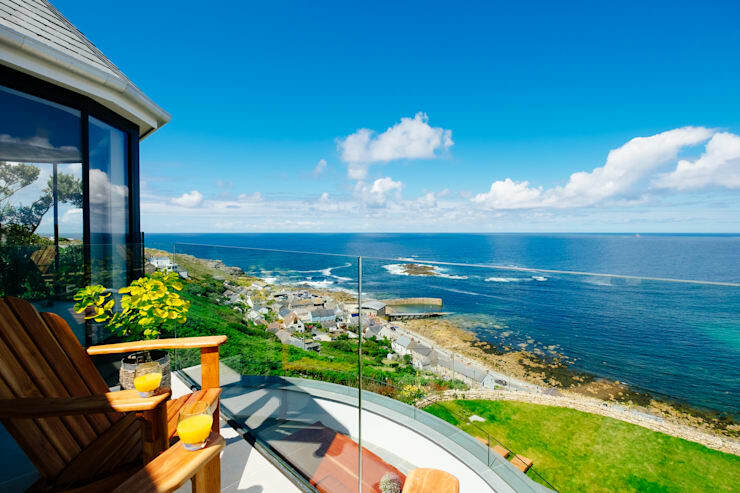 This project is the perfect example of how we can use architecture to make the most of these views, using the surrounds as a natural focal point. We will also get a sense of how bright colours, bold designs and intricate patterns can result in the most stylish and sophisticated home. From this angle, we can see that the home is in the most ideal position, overlooking a beautiful, blue bay. The designers have gone for a double-storey design with a very neutral facade, employing whites and greys which work in harmony with the glass and wood materials. The home features a very modern and contemporary shape and already we can see how there is a seamless connection between the interior and exterior spaces. Large glass windows, doors and skylights are interspersed throughout the facade, filling the interior space with natural light. We can also see how warm and welcoming the entrance to the home is with the wooden front door flanked by glass windows, which give guests a little peek into the inside space. Pot plants add a natural form of decor too! Have a look at these other: tips for creating a beautiful entrance in 6 easy steps. The interior space in this home is like a dream. The designers have gone for a neutral colour palette, similarly to what we experienced outside the house. The white floors and white walls make for a very light and bright interior space, working in harmony with the natural light that floods the home. And boy does the natural light flood the home! The skylights and the large glass sliding doors ensure that there is constant ventilation and sunshine flowing through the home. We can also see how the designers have added a splash of colour to the interior design, bringing a bit of life and charm to the living area. The burnt orange patterned rug, the bright orange cushion and the vase of fresh flowers contribute towards this. If we head out onto the balcony space, we can see just how remarkable the views are and why it's so important that the designers made the most of the exterior space. This area has become an outdoor living area, extending the interior space significantly. With some comfortable and durable furniture, this is the perfect spot for afternoon naps, reading a book, hosting events or just enjoying a sun downer with your partner. You'll also notice that the designers have opted for glass banisters, ensuring that not even an inch of the gorgeous views are blocked—a very savvy design! 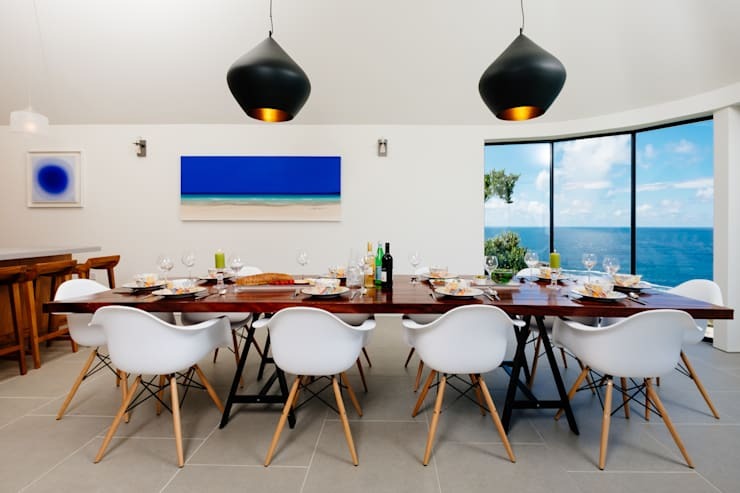 The dining room is a perfect example of modern and stylish design! The designers have opted for a rich, wooden dining room table paired with funky white chairs. Funky lanterns are suspended from the ceiling, providing the table with a wonderful soft light that brings ambiance and romance to the room. Don't you love how the designers have combined trend and function here? You'll also notice that on the far wall, there is a gorgeous painting, which depicts a beach and ocean. This really sets the tone for this beach house, while adding a touch of personality and colour to the walls. It doesn't quite contend with the real beach outside the window though, which the diners have panoramic views of! The window frames seem to frame the beach and ocean like artwork itself. As we explore this home further, we come across some very quirky and interesting designs. The wooden staircase is spiral in shape, creating a wonderful and striking aesthetic look and feel. This looks like a design element in itself! The wood also brings a lovely warm and earthy tone to the home as well as a very cosy ambiance. 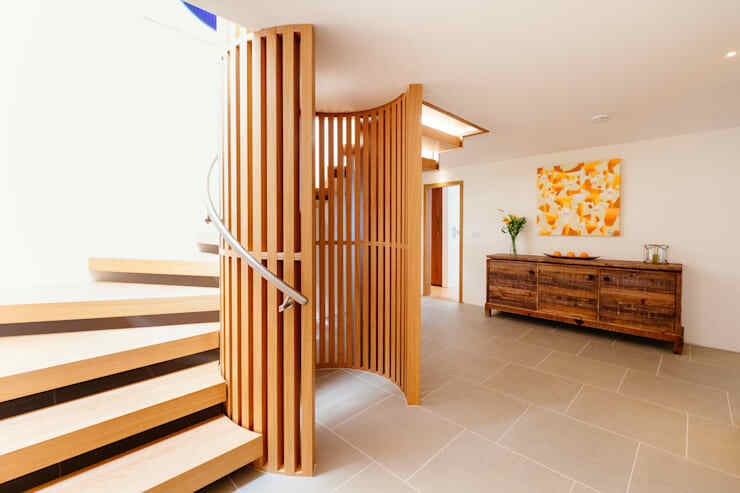 Have a look at these other wooden staircases that wow for inspiration for your own home! For a kid's bedroom, you can really afford to have a little bit of fun with the design and decor. 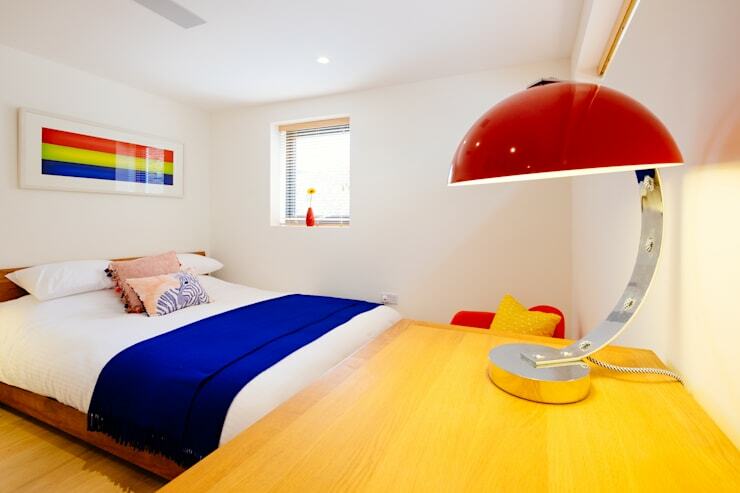 This is exactly what we find in this bedroom, where the designers have introduced bold and bright primary colours into a room, creating character, vibrancy and charm. You'll notice, however, that the walls are white and the floors feature the light wood that we've seen throughout the rest of the home. This is a great tip for a kid's room! It means that as the child grows, the linen, accessories and artwork simply need to be changed. Tip: Add some lovely lamps to the room, giving it a wonderful soft glow in the evening. This is a plus for kids! The main bedroom is a completely different look and feel to the kid's bedroom, taking on a much more mature and sophisticated design. Yet the decorators have still found a way to add some colour and vibrancy to the space in dull orange tones and patterns. Don't you think this is such an elegant and cosy little space? 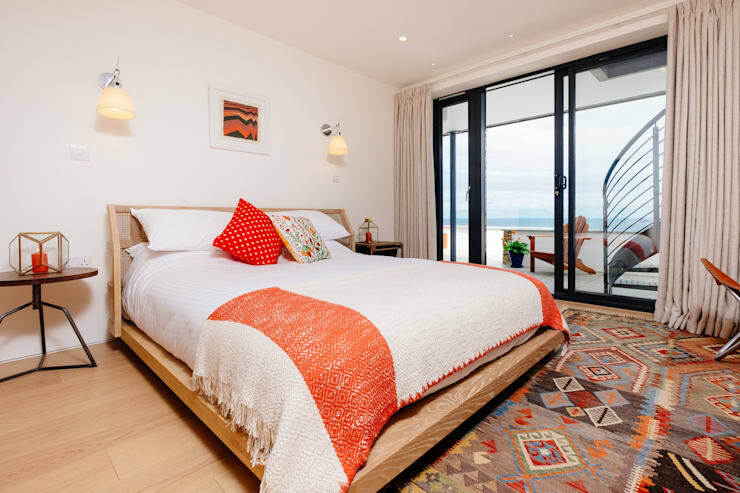 The bedroom also leads onto a gorgeous little balcony space, where the family can relax in the sunshine and fresh air while still in a private area. The balcony also makes the room seem that much bigger and more expansive! If we look at the home from the backyard, we can see how impressive the home is from the exterior. There is a gorgeous green lawn that leads up to a stylish stone facade, which brings a lovely rustic touch to the look and feel. The raw stone contrasts beautifully with the modern, white walls of the home. The garden features sun loungers as well as gorgeous chairs, which gives the family a lovely space to enjoy the garden and fresh air. If you like this home, you'll love this: New generation sea house. What do you think of this beautiful beach house?